Often when a person dies our grief overcomes us so much that we forget to celebrate the LIFE that the deceased led. The lives they touched. The sacrifices they made. The joy they brought to their friends and loved ones. My uncle, my father and their friend, whose singing careers were highjacked by the Korean War, loved LIFE. 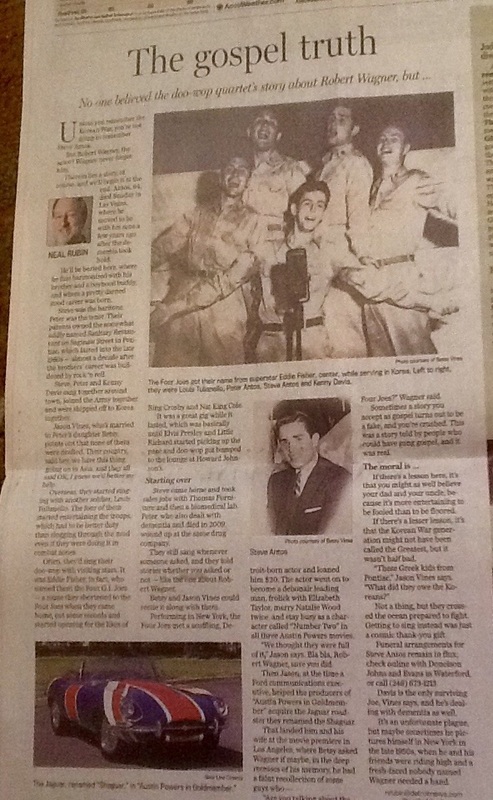 This wonderful article in today’s Detroit News, cronicles just one of the examples of a life well lived. May the memory of these unsung heroes be eternal. Thanks to Neal Rubin for a fantastic piece! Previous Previous post: Big Creek Doggie Paddle! Next Next post: Beautiful Sunset back home in NC!